On the basis of this review, yesterday I got involved in an email debate about whether or not a novel with a dead narrator should count as fantasy, which involved mutual incomprehension on both sides. (Although I have the satisfaction of having the author on my side.) For me it’s as simple as saying the narrator’s position is impossible, and that it implies the existence of a secondary (fantastic) world, whether or not the author chooses to explore it. If the author doesn’t choose to explore it, it may not be very satisfying to consider the work in question as fantasy — there may be other, better ways to approach the book — but that doesn’t mean it’s not fantasy. 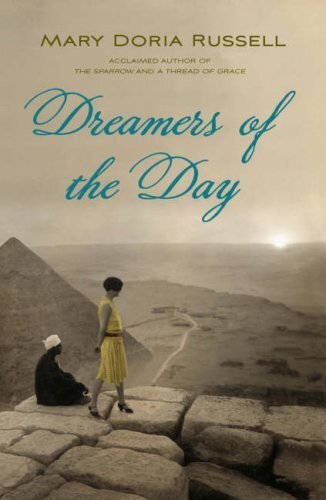 In fact, in Dreamers of the Day Russell does spend some time in the afterlife world, although it’s towards the end of the book, so I didn’t want to talk about it in the review; but even if she hadn’t, my knowledge that the narrator was dead would have made the book a fantasy for me. And that had an effect on my reading experience: for example, it made the moments where Agnes (the narrator) remembers hearing the voice of her dead mother more ambiguous since, after all, Agnes herself proves that communication from beyond the grave is possible. In order to make something as slow-moving as climate change storyable, you either need to make your characters live longer, as, for instance, Kim Stanley Robinson does in Blue Mars, or you need to make the change shorter and sharper, which is the route Robinson takes in Science in the Capital and the route Baxter takes, to a much greater degree, here. (Of course you can set stories within an ecologically devastated future without deploying either of these strategies, and many writers have; but they then stop being stories about the process of climate change, and become stories about living with it.) The big advantage to Baxter’s strategy is that it tremendously intensifies the problem, particularly in the early stages, creating a crucible within which the dramas caused by a changing environment—mass migration, for one—can play out on a human timescale. 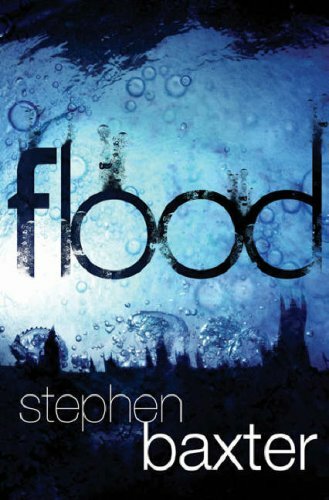 Stern currents of class, race, gender, religion and evolutionary biology all swirl through Flood, driving and shaping the drama. (The religious echoes, in particular, are well handled.) But once you’ve introduced that sort of acceleration, if you’re a writer like Baxter you have to follow it through to its conclusion; and in this case that means shifting modes. So Flood skyhooks us into a story that—while still predominantly literal—is stranger and more emblematic than it at first appears. As this indicates, one of the things that really interests me about the book is how it negotiates between two forms of writing about its subject: the opening is very literal, realistic, climate-change-ish stuff, whereas the later parts of the novel are more extreme and strange. But that’s only the most impressive aspect, for me, of what is quite possibly Baxter’s best novel this decade (Evolution runs it close), and certainly the best new science fiction novel I’ve read so far this year. I’m hoping to organize a Swiftly-style discussion of this book, to look at it in more detail. Not exactly. You still need to subscribe, but you can subscribe for free, and then get access to one piece per week from the current issue. On dead narrators: I don’t accept that a dead narrator per se makes a work fantasy. If that were so, then Sunset Boulevard would be a work of fantasy, and I don’t think it is (or indeed, Scorsese’s Casino). Almost any first person narration involves a degree of artifice – you can’t really imagine, for instance, that if Philip Marlowe really sat down to write or dictate a case history, that it would be as detailed as the novels of Raymond Chandler. Even when a context is given within the novel for the record that one is reading, such as Wolfe’s Soldier series, the detail of the dialogue is implausible. So I don’t see that it’s that much more artificial, and that much more pushing something into the literature of the fantastic, for a narrator to be dead. I agree with Tony (indeed, he cited the very example I was going to use). To suggest that a work could be considered fantasy *solely* because it has a dead narrator is just crazy talk. Which it is. But as I said, that doesn’t mean that talking about it as a work of fantasy is the most useful way to talk about it — indeed, it’s almost certainly not. But a distinction between fantastic and not has to rest on content if it’s to make any sense, and the presence of a particular type of narrator says things about the text whether the author is interested in those things or not. “The Cossacks are Coming!”: Defining the Fantastic by Coherence of Story. John Clute. We normally define the fantastic by the presence of non-mimetic content. In this talk, Clute proposes that the “undue coherence” of Story, when wrought past a certain point, becomes inherently fantastical, regardless of content. The talk takes its title from the climaxes of John Buchan’s Greenmantle (1916) and The Lord of the Rings; Clute argues that the shout of the beleaguered heroes of the first tale as their saviors come from the north and fall upon their foes — “The Cossacks! The Cossacks! !” — is not just superficially similar to Gandalf’s cry — “The Eagles are coming!” — but that both cries have the same function, a function inherent to the experience of reading the fantastic. In other words, any story sufficiently advanced to have become entirely visible is indistinguishable from magic. Viewpoint is significant in defining fantastic. The dead narrator is intersting, the same story told in 3rd person or omniscient would not be fantastic. A story about aboriginal dreamtime told by an omniscient narrator describing the experience of dreaming is clearly fantastic, but first person to be culturally accurate is arguably non-fantastic. A novel narrated by a psychotic and/or schizophrenic narrator (eg The Wasp Factory) may contain elements which are not realistic and yet the knowledge that the narrator is suffering delusions allows us to interpret them as real within his viewpoint and therefore non fantastic.